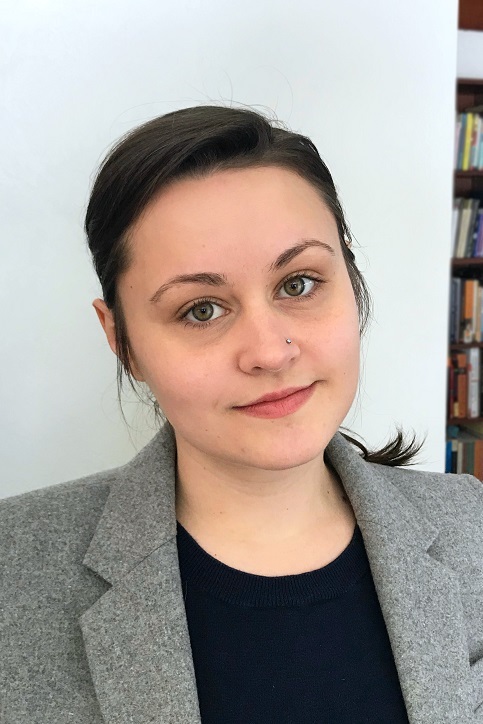 Sophie Abramowitz is a curatorial assistant at the Albert and Shirley Small Special Collections Library and a PhD candidate in English Literature at the University of Virginia, completing her dissertation on songwriting, song-collecting, and performance in the Harlem Renaissance. 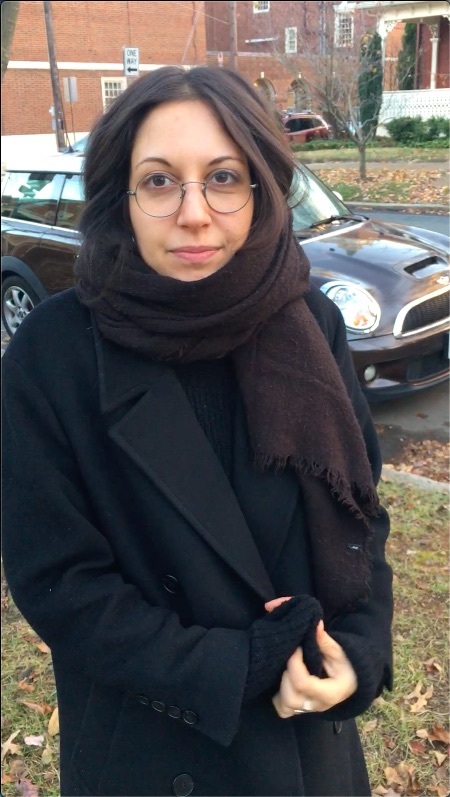 A former archival assistant at the Alan Lomax Archive, Sophie is currently developing a digital Charlottesville Syllabus project in response to Unite the Right, and working with Americana Music Productions to write, produce, and create bibliographies and photo archives for LPs on Mable Hillery and Johnny Shines (AMP 2018) and the 1969 Ann Arbor Blues Festival (Third Man Records 2019). View larger image. 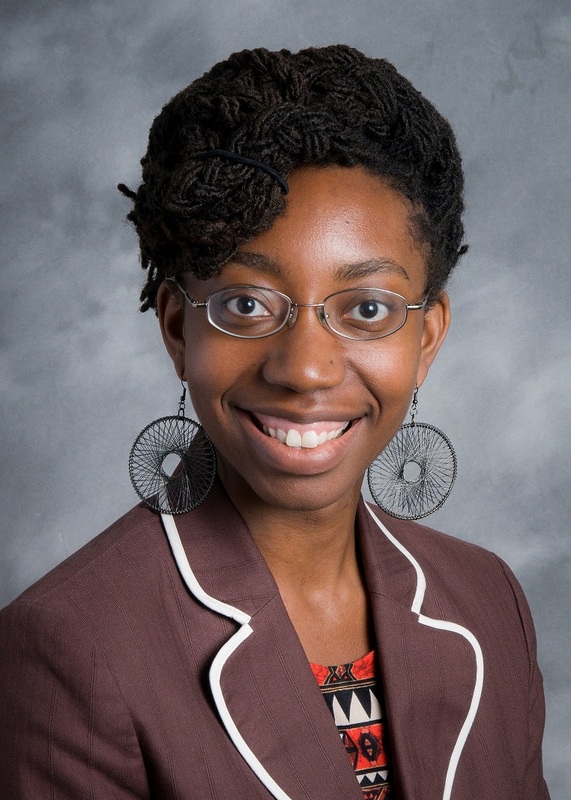 Grace Adeneye is the Pauline A Young Resident at the University of Delaware, where she works primarily in reference and instruction. She completed her bachelor’s degree in English at Long Island University. She then obtained a MLS from University College London with a concentration on the history of the book, and a postgraduate certificate in Museum Studies from the same institution. 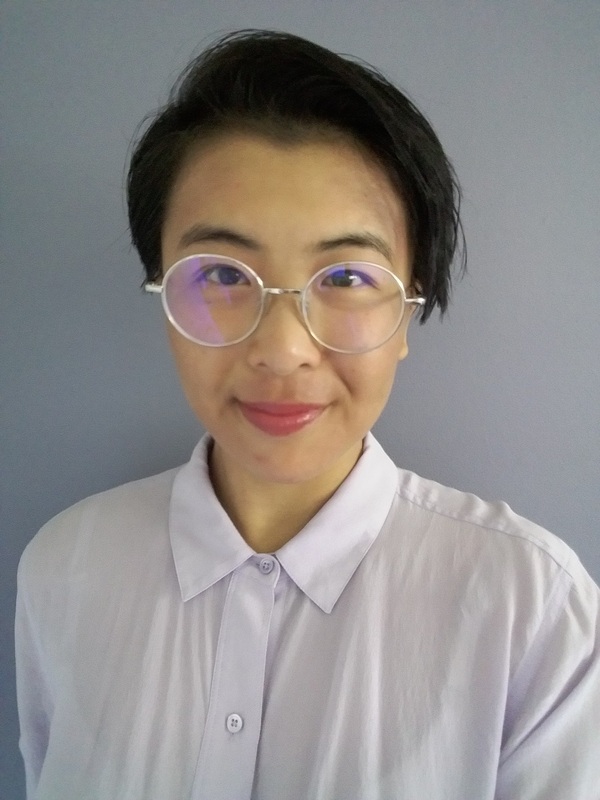 She aspires to combine her love for archival research, library instruction, and museums by looking for opportunities for the three to collaborate on her campus and beyond. View larger image. 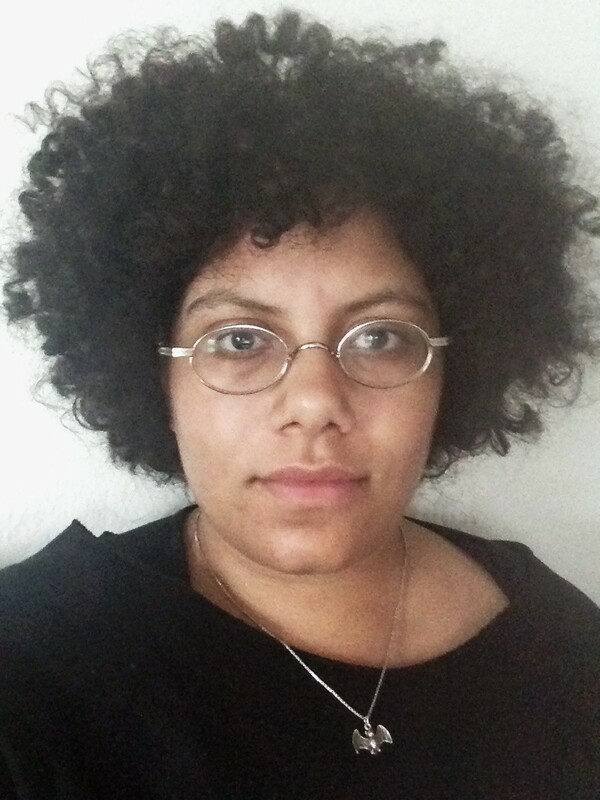 Kalani Adolpho (they/them/theirs) attended University of Wisconsin-Milwaukee where they earned their BA in History and MLIS with an Archival Studies concentration. They are presently in their first post-degree position, completing the second year of a three year Diversity Librarian Residency at the University of Wisconsin-Madison. In this role, they work primarily in technical services, processing collections and cataloging for the University Archives and cataloging for Special Collections. Their professional interests include critical and ethical cataloguing theory and praxis, inclusive metadata, gender diversity, decolonization, and the history of books and printing. View larger image. 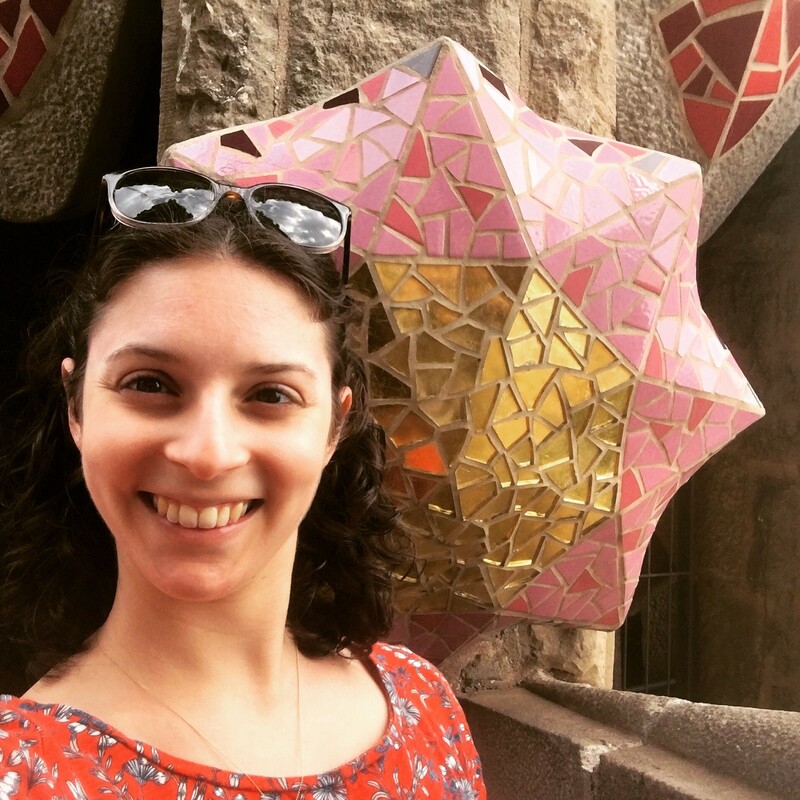 Sara Belasco is an MLIS student at the Pratt Institute School of Information with an Advanced Certificate in Archives and a concentration in Rare Books and Special Collections. Previously she received a BA with Honors in History of Art from Skidmore College. Sara currently interns at the Jewish Theological Seminary Library cataloging historical documents from the fifteenth through twentieth centuries. She is interested in how to navigate bringing rare book scholarship into the digital age without compromising the information their physical properties divulge. 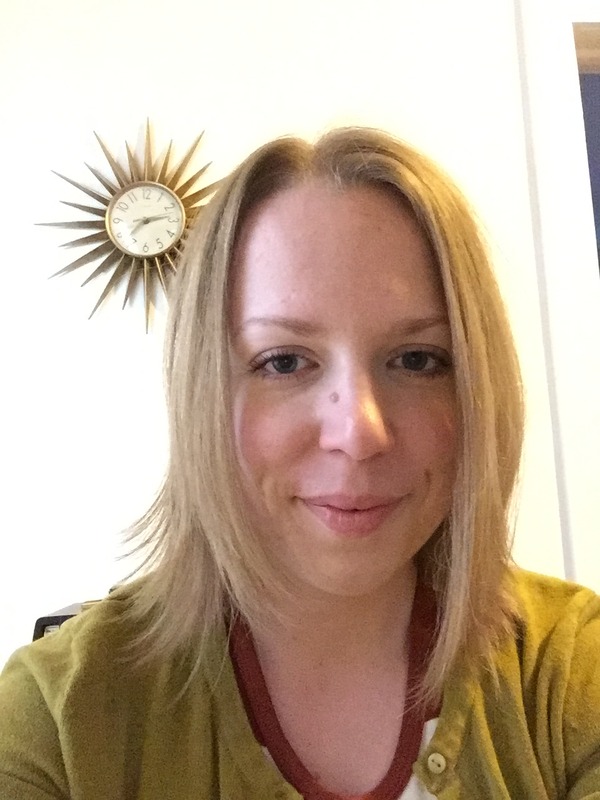 Her other research interests include the transition from manuscript culture to print culture. View larger image. 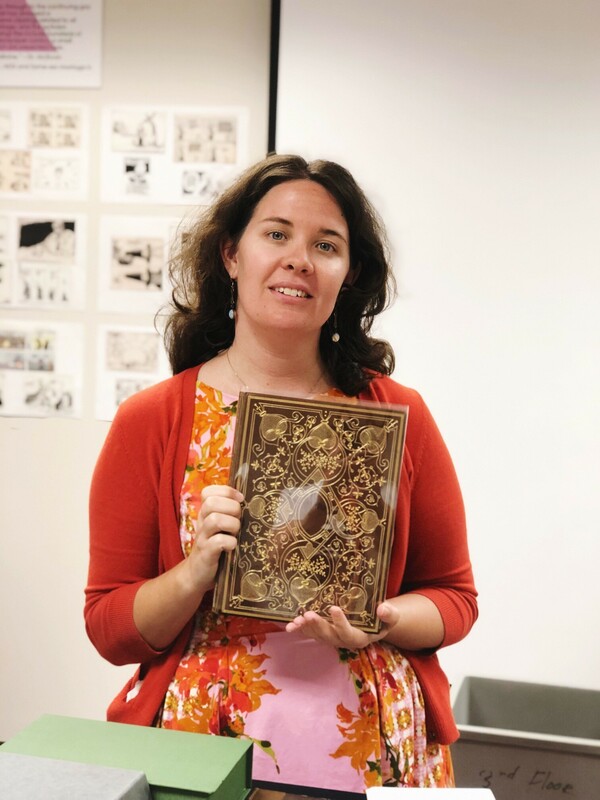 Elizabeth Boyne is the Rare Books Library Associate at Tulane University, where she specializes in reference, educational outreach, and collection management. 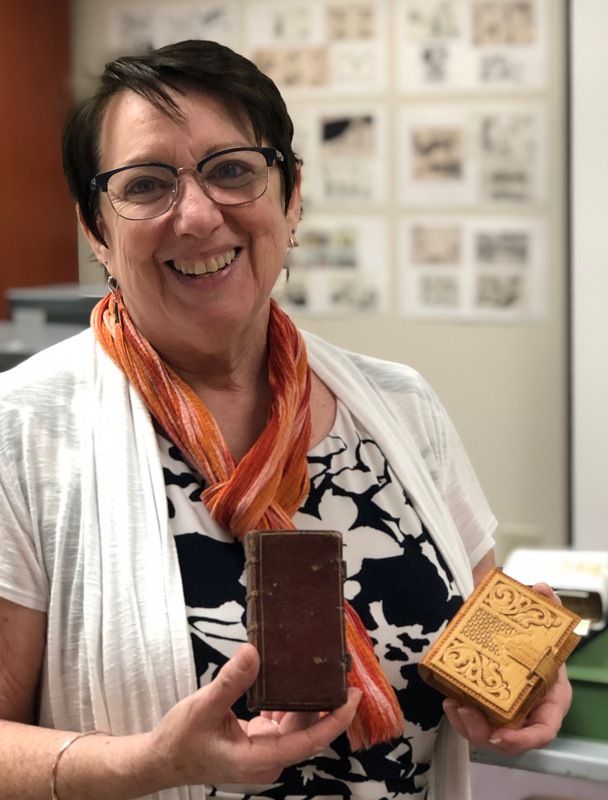 She has a background in book conservation and preservation; previously she served as special collections conservation technician at Stanford and taught bookbinding, letterpress, and papermaking workshops at various institutions. She has a deep interest in the intersections of material culture, social history, and the history of craft, and has recently published her research on women’s contributions to the invention of paper in Hand Papermaking Magazine. She holds a MLIS and MFA in Book Arts from the University of Iowa. View larger image. Christine Cheng is the Instruction & Outreach Librarian for Special Collections in UC Davis Library at the University of California, Davis. She designs library services and education programs that enhance access to and understanding of rare books, manuscripts, and archival materials. She creates exhibitions that spotlight holdings in Special Collections and provides tours of collections to faculty, students, and other visitors and groups. Her interests are promoting and developing skills in primary source literacy. View larger image. Cultural heritage has been a longstanding passion of mine which led me to pursuing and receiving a degree in Anthropology from UCLA in 2015. After a break from college, I decided to blend my love of cultural heritage with my love of books and I decided to pursue an MLIS at UCLA. I am currently working in the Center for Oral History Research at UCLA where I am privileged to work with oral histories of people from various different backgrounds. My professional interests include: rare books, manuscripts, oral histories, special collections, community archives, and preservation. View larger image. 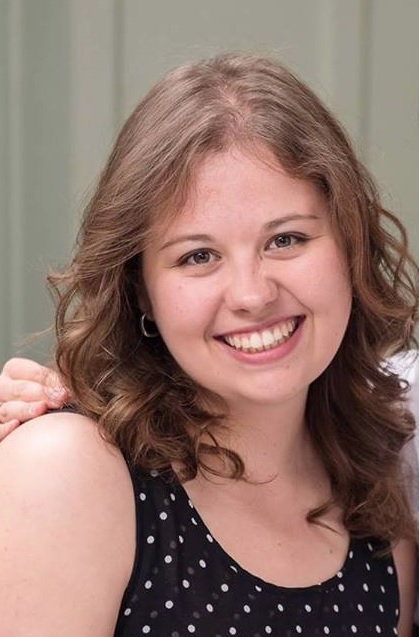 Alexa Goff is an MLIS candidate at San José State University with an interest in special collections and archives. 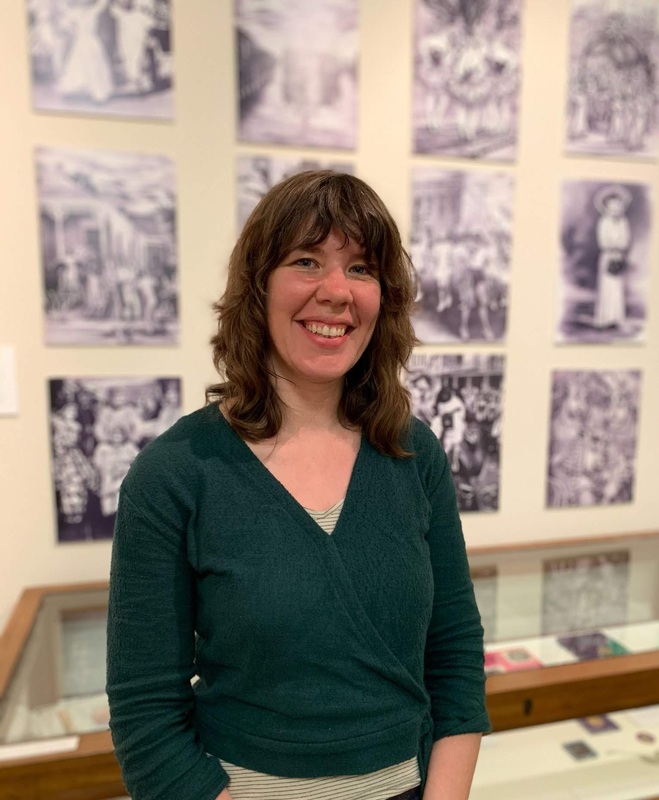 She is currently a special collections intern at the University of Oregon where she processes archival collections, supports reference and research for faculty and students, and manages the department’s blog. Originally from Idaho, she earned her BA in art at Idaho State University with an emphasis in printmaking and bookbinding. Her research interests include the history of miniature and mobile book collections, including travelling libraries, which was the focus of her MA in art history at the University of Oregon. View larger image. Kati’s research interests lie in the history of collecting and printing, as well as the role private collectors play in the preservation of our cultural heritage. After fifteen years of diverse work experiences, it was her time as a cataloger at an auction house that inspired her to pursue a career working with rare books and visual materials. 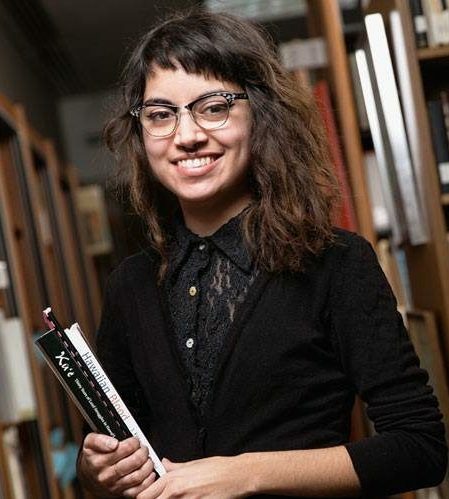 She is currently an MSLIS student at the University of Illinois at Urbana-Champaign and aspires to be a curator or librarian in a rare book and manuscript library once she earns her degree. View larger image. Margaret Joyce is the Hawaiian Materials Cataloging/Metadata Librarian at the University of Hawaii’s Hamilton Library. She graduated from UIUC’s Library Science program, where she focused her coursework on special collections and rare books. She is interested in the history of the book, and the intersecting work of libraries, museums and archives. Cataloging specialized materials allows her to flex both her editing and researching skills. Teaching LIS coursework reinvigorates the skills learned in her former career as an ESL teacher. She loves to travel, and can never resist a stop at a library or museum. View larger image. Joanna holds an MLIS from UCLA and an MA in Information from the University of Michigan. In 2017, she joined the staff of the Sonoma County History & Genealogy Library, a special collections and archives unit of the county’s public library system, where she has taken an active role in disaster preparedness and advocates for special collections care on the library’s safety committee. Since the October 2017 fires that affected the region, she has been working under an IMLS/Internet Archive grant to develop a web archive of the fires. She also leads classes in the community on family history research. View larger image. Hailing from New Orleans, Nix Mendy is a sonically-driven storyteller and Merit Scholar at Simmons University, pursuing their M.S. with a concentration in Archives Management. They have previously been awarded a fellowship with VONA/Voices, an artist’s residency in Santiago de Cuba through Louisiana Caribbean Cultures, Inc., and Distinction in Poetry through Emerson College’s Senior Writing Awards. They continually seek to make the stories and histories of their Black ancestors and communities legible while deepening their artistic practices. View larger image. Ruthann received a Master of Library Science specializing in Rare Books and Manuscripts as well as a Masters in Ancient History Language Acquisition from Indiana University. 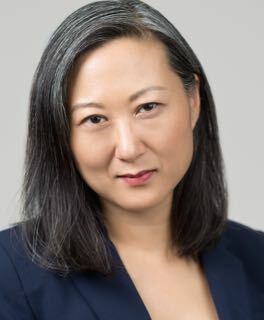 Currently, she is a Visiting Curator of Rare Books and Manuscripts at the Rare Book and Manuscript Library at the University of Illinois Urbana-Champaign. In this position, she provides instruction using primary sources, participates in collection development, and performs public outreach. Prior to joining UIUC, she worked as an intern, student cataloger, and reference assistant in the Lilly Library at Indiana University. View larger image. Chido Muchemwa is a first-year PhD student in the Faculty of Information at the University of Toronto. She obtained her MFA in Creative Writing from the University of Wyoming and her MS in Information Studies at the University of Texas at Austin. 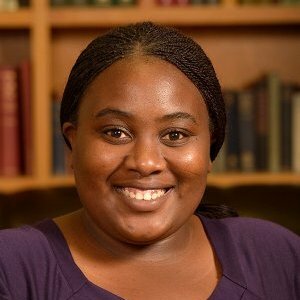 Her research interests include the history of archiving in Southern Africa, digital archives and human rights, and postcolonial archives. View larger image. 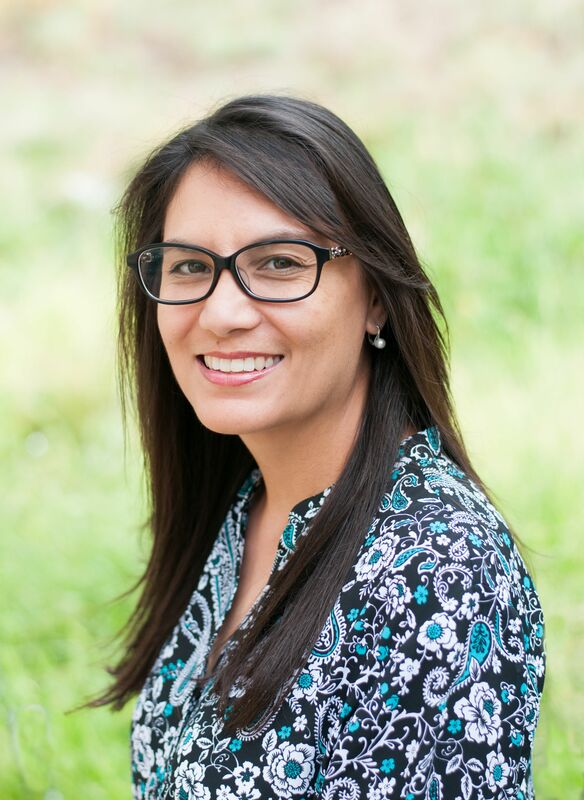 Karen is pursuing the dual master’s program in Archival Studies and Library and Information Studies at the University of British Columbia (UBC), located on ancestral and unceded Musqueam territory. She earned her BA in English and Medieval Studies, also at UBC. Karen is interested in transnational histories of the book, digital diasporas, and identity formations in spaces where archives and libraries come together. She hopes to eventually work in a public special collections. View larger image. 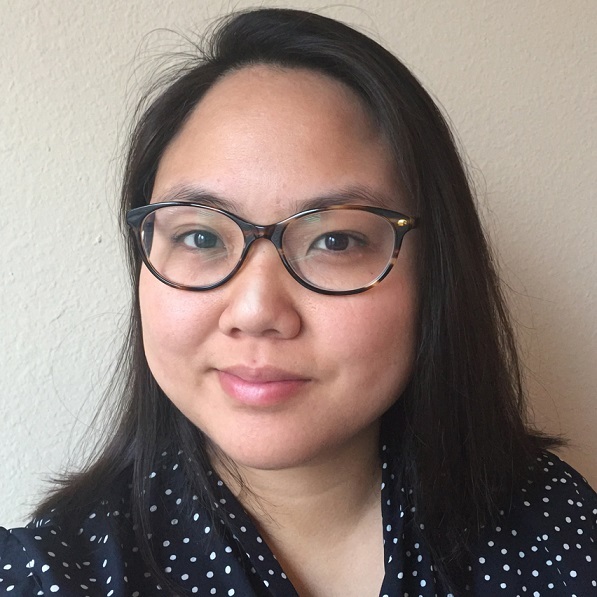 Julie Park is specializing in Archival Studies as well as Rare Books, Print and Visual Culture as a second-year degree candidate in the MLIS program at UCLA. Supporting her degree work is a Mosaic Program Fellowship awarded to her by the Association of Research Libraries and Society of American Archivists for 2017-2019. Before coming to UCLA, she was Associate Professor of Research in the English department of Vassar College. A scholar of eighteenth-century British literature and material and visual culture, she has written several articles and books, and received many research fellowship awards. She is enjoying the experience of acquiring experience in a new field that is quite different from, but also extremely complementary to her existing area of expertise. Her master’s thesis locates and examines the prehistory of today’s personal information and archival management systems in the pocket diaries, notebooks and extra-illustrated books of eighteenth- and early nineteenth-century England. View larger image. 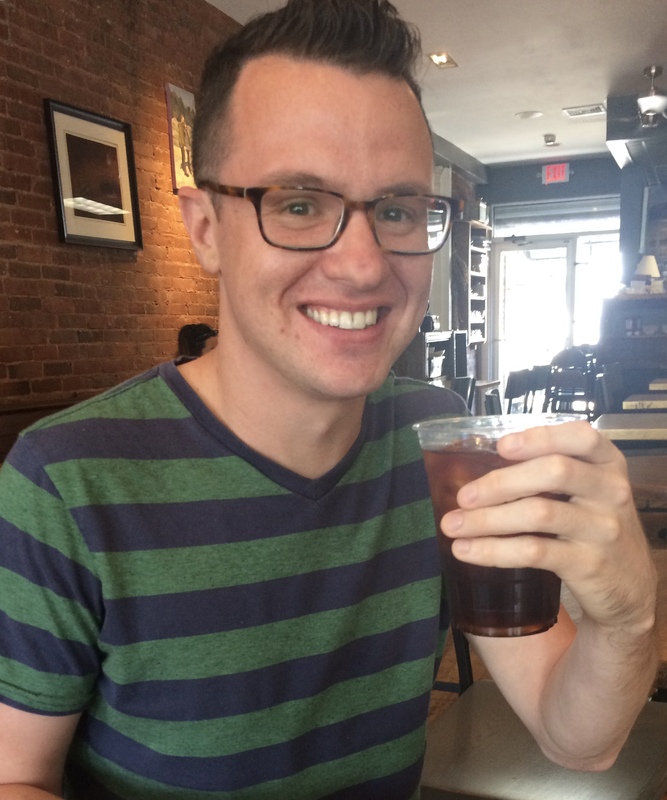 Michael Pasternak will graduate with an MLIS from Simmons University and an MA in English from Montclair State University in May 2019. He intends to pursue a career as a rare book cataloger. His interests are in bibliography and book history, literary history, and poetry and poetics. He currently works as Books End-Processing Assistant at Houghton Library, was recently Archnet Content Assistant at the Aga Khan Documentation Center at MIT, and worked as an intern at the Beinecke Library during the summer of 2018 processing a portion of the Otto F. Ege Collection. View larger image. Ursula is pursuing her MLIS with an Advanced Certificate in Archives at Pratt Institute. She works as a library assistant at Florham Park Public Library in Florham Park, NJ. Though she loves serving the general public, her professional interests are in special collections and archives. 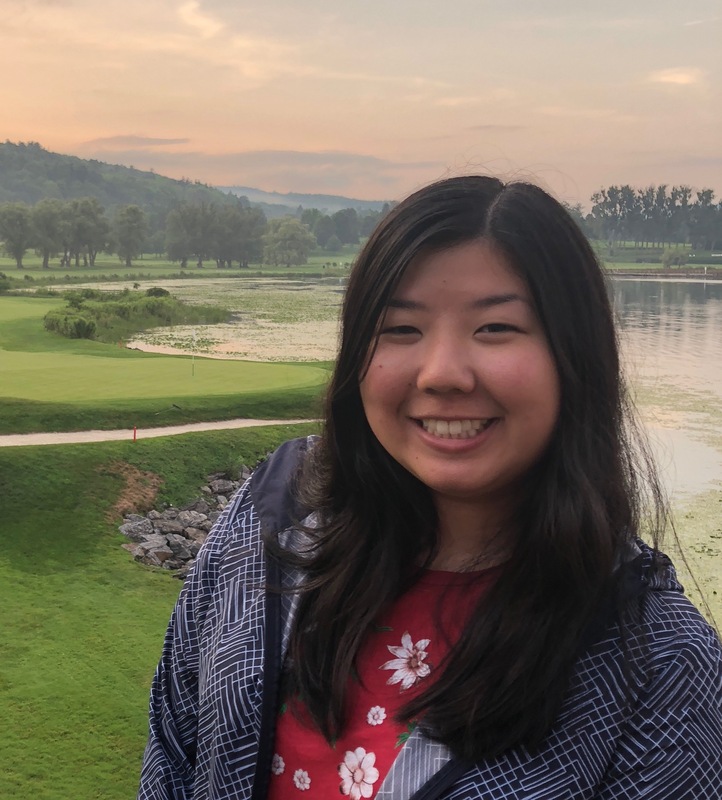 She is currently interning at the Metropolitan Museum of Art’s Thomas J. Watson Library, where she is working to digitize rare books and manuscripts related to the museum’s collections. Past internships include Weill Cornell Medical College’s Oskar Diethelm Library and the Passaic County Historical Society. View larger image. 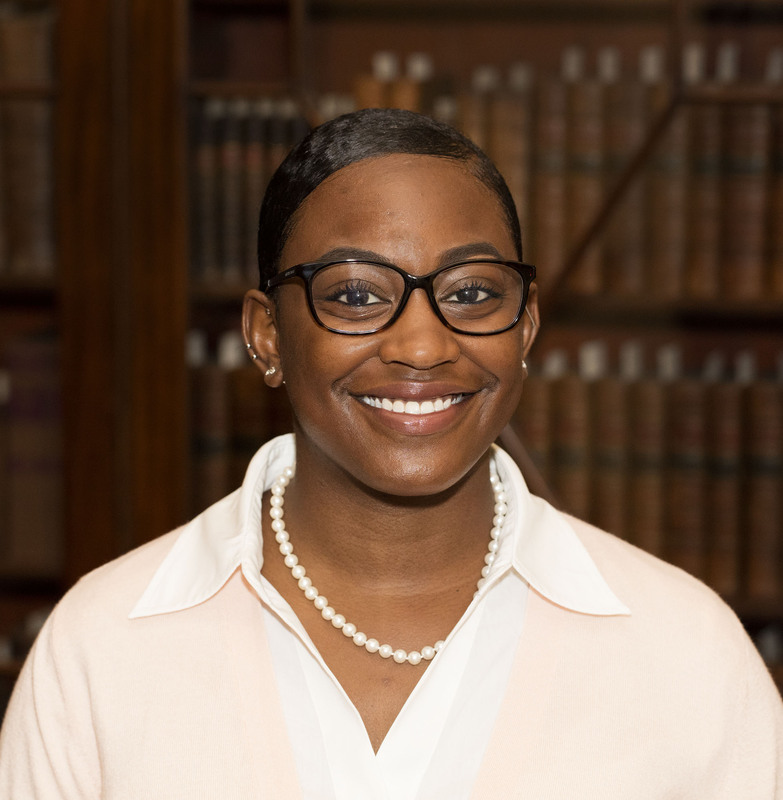 Jasmine Smith is the African American History Subject Specialist and Reference Librarian at the Library Company of Philadelphia. Jasmine is a graduate of North Carolina Agricultural and Technical State University, with a BA in History. She also has an MA in Library and Information Science from Kent State University, with a concentration in Museum Studies. Her job duties focus on three different areas: reference services, facilitating the Program in African American History, and collection development. She promotes the use of the African Americana Collection, develops exhibitions and events as well as assists with the Mellon Scholar Summer Program. View larger image. My name is Sarah Stanhope and I am the Managing Catalog Librarian at The Museum of Fine Arts, Houston. I completed my MLS at Texas Woman’s University. As a graduate student, I had the opportunity to work on the digitization of a historical fashion archive and gained experience organizing an institutional archive. My professional interests include book preservation and conservation techniques, foreign language cataloging, and digital humanities. I am a 2017/18 ALA Spectrum Scholar and I strive to promote outreach and professional development opportunities for librarians and students from underrepresented groups who are interested in rare books, special collections and archives as I grow and develop in my own career. I am honored to be selected as one of the 2019 IMLS-RBS Fellows and look forward to gaining professional experience and drawing inspiration from the RBMS conference and Rare Book School course. View larger image. 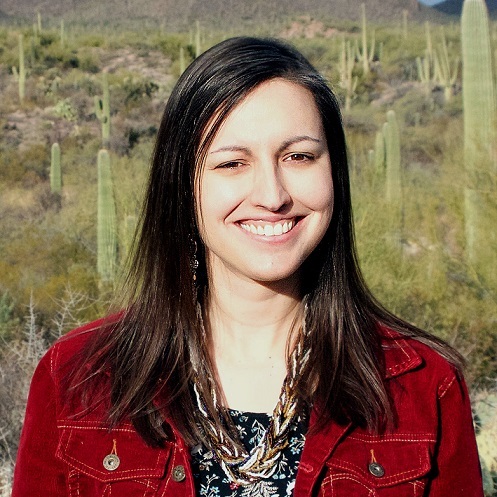 Julie Swarstad Johnson is the Senior Library Specialist for the University of Arizona Poetry Center, home to a world-class library collection of contemporary poetry. She is also a graduate student in the Library and Information Science program at the University of Arizona. 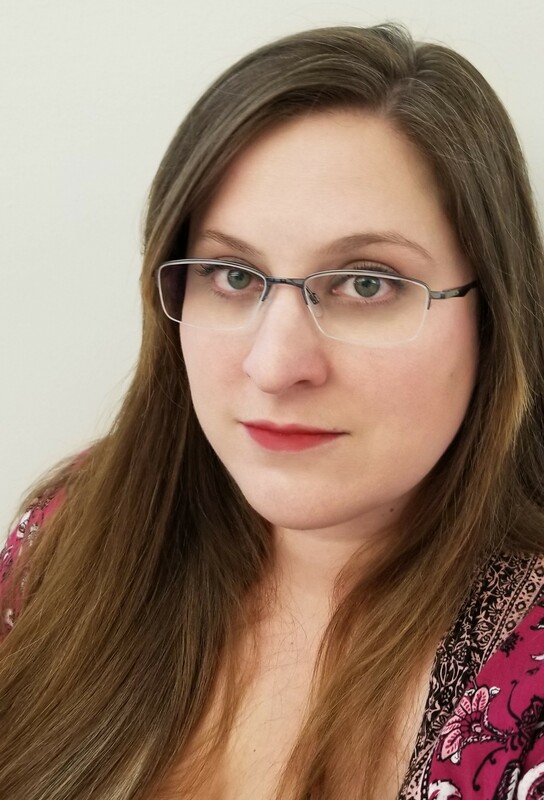 She holds an MFA in creative writing from Penn State, and her first full-length poetry collection, Pennsylvania Furnace, will be published by Unicorn Press in fall 2019. She has been the recipient of a grant from the Arizona Commission on the Arts and has served as Artist in Residence at Gettysburg National Military Park. View larger image. Jean is an Access Services librarian at the University of Hawaii’s at Manoa. She is responsible also for paging and stacks management for Closed and Rare Book collections. Previously, while at the College of Micronesia, she established an institutional archive. Her current interests are miniature books, book covers, and exhibiting the library’s treasures. Her experience includes preservation in tropical climate settings and disaster preparation and response. She is a board member of the Hawaii Library Association, member of Special Libraries Association-HI and Pacific Islands Association of Libraries and Archives, and active in the ACRL Access Services Interest Group. View larger image. Cathrin began working as Rare Books Cataloger at The Lilly Library, Indiana University Bloomington, in 2016. Her interest in rare books and print history developed during an internship at the Gutenberg Museum, Mainz, Germany. She then began her cataloging career working with engraved ornament prints, lithographs by Henri Matisse, and painted portrait miniatures at the Victoria and Albert Museum, London. She holds BAs in Art History and Germanic Studies from Indiana University (2011) and an MA with distinction in Art History from the University of Sussex, Falmer, UK (2012). View larger image. 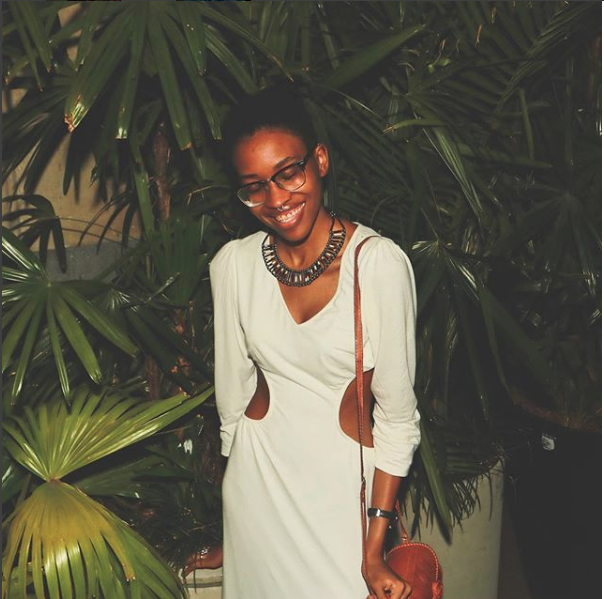 Ayoola White is a recent graduate of the dual master’s history and archives management degree at Simmons University and hails from Michigan. She envisions making archives and special collections more accessible, inclusive, and socially just. In her personal time, Ayoola enjoys cooking, reading historical fiction, learning foreign languages, and practicing yoga. View larger image. Born and raised in the Old North State, Sonja earned both her Bachelor’s in English Literature and Master’s in History at North Carolina Central University in Durham. She relocated to Washington, DC to attend Howard University in pursuit of a PhD in African and African Diaspora History. However, part-time work as a student-intern at Moorland-Spingarn Research Center helped her to recognize the crucial need for well-educated, dedicated historians in the preservation of primary Africana sources: she was converted from future tertiary-level academic to budding university archivist. From the University Archives Division of Moorland-Spingarn, Sonja thoroughly enjoys keeping, collecting, and teaching the history of Howard University as she serves a campus, local, regional, national, and international community of scholars. 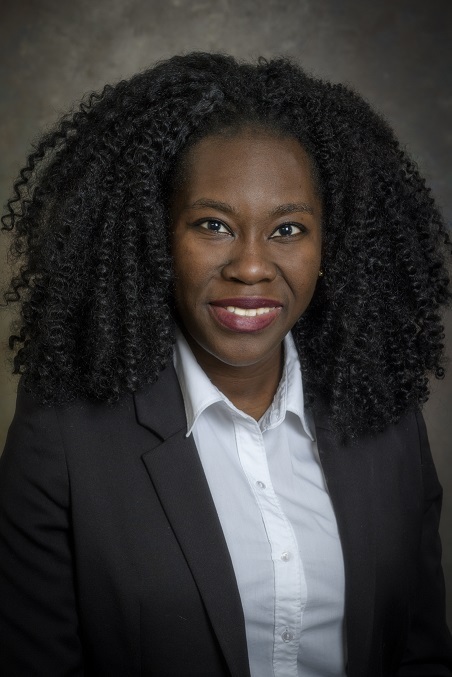 Bernadette Worrell-Johnson is a Special Collections Librarian in the West Indies and Special Collections (WISC) section of the University of the West Indies (UWI), Mona Library. 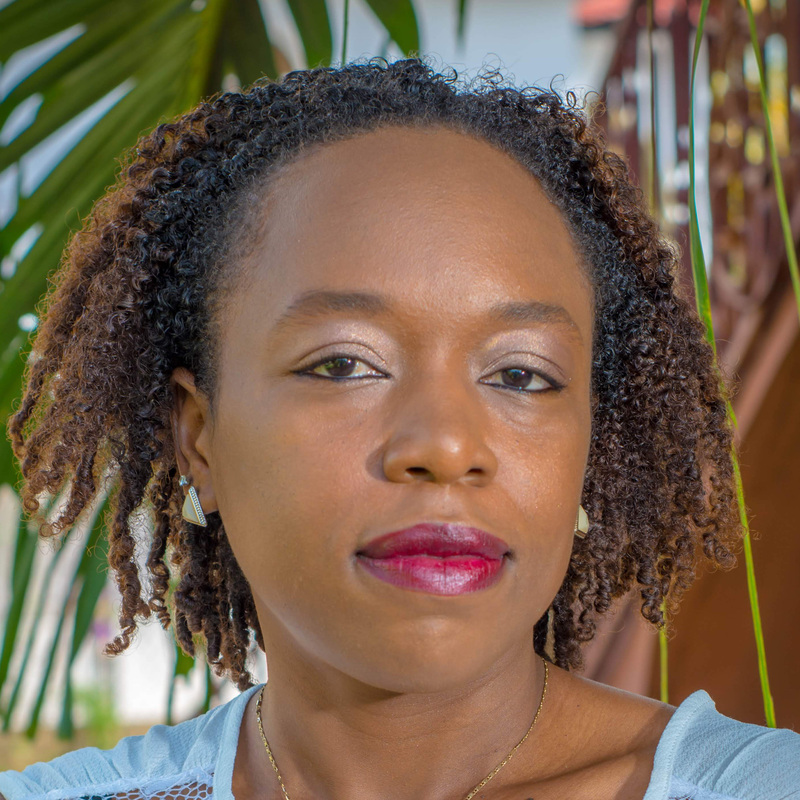 She acquired her MLIS in 2015 and gained over 3 years professional experience from the National Library of Jamaica. There, she was engaged in reference, research, rare book collection and preservation management and library outreach. With her appointment to the WISC in November 2018, she has gained the opportunity to further hone her knowledge of West Indiana content and participate in the discovery of hidden gems while maintaining standards to ensure collection longevity. View larger image. 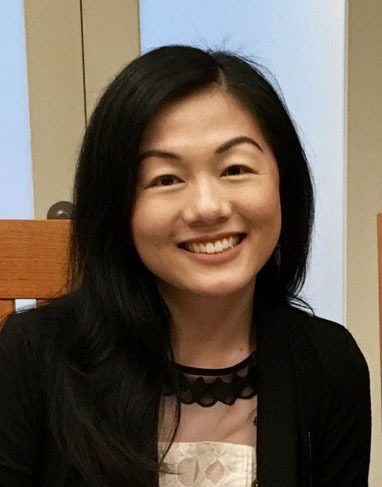 Kelli Yakabu is pursuing a MLIS at the University of Washington where she also works as the Pacific Northwest Collection accessioning assistant at Special Collections. A fifth-generation Okinawan and Japanese American, she received her B.A. in English and American Ethnic Studies from UW. 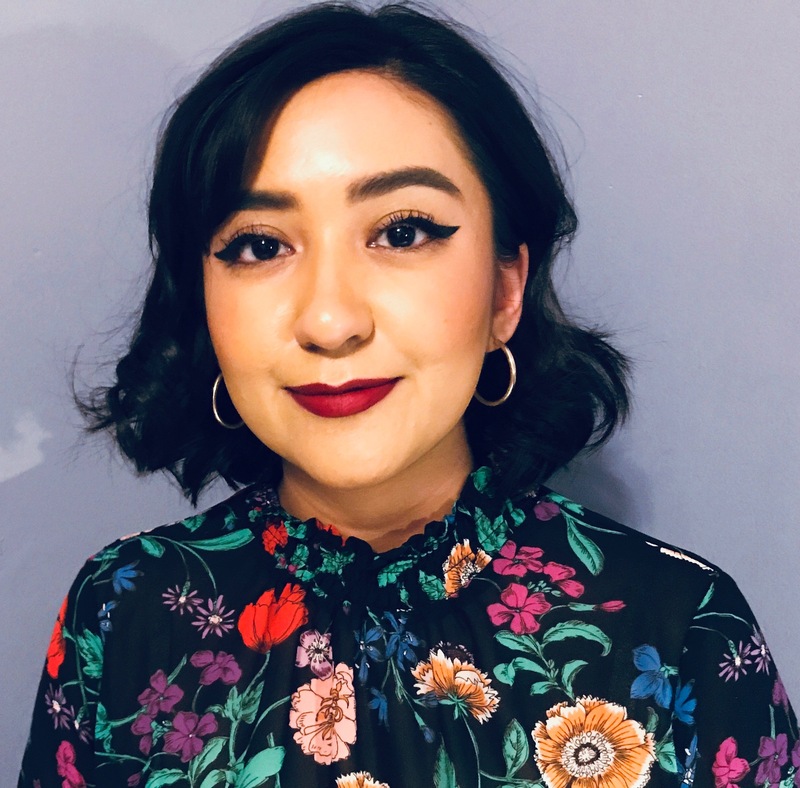 Her interests include identity (re)construction through outreach and instruction, digital collections, and archiving the histories of displaced and diasporic communities. View larger image. Help fund future RBMS Scholarship Recipients! 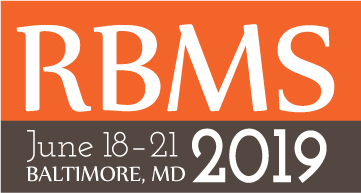 If you would like to donate to the RBMS conference scholarship program, you may do so when you register for the conference or separately through the Friends of ACRL page. When donating, please select “ACRL RBMS Scholarship Fund” from the options listed under ACRL.